im also excited for the Joker Deulxe version. I don't see any pics of him around, but its supposed to be an px exclusive and comes with a ton of stuff! Glad I didn't get the first release! 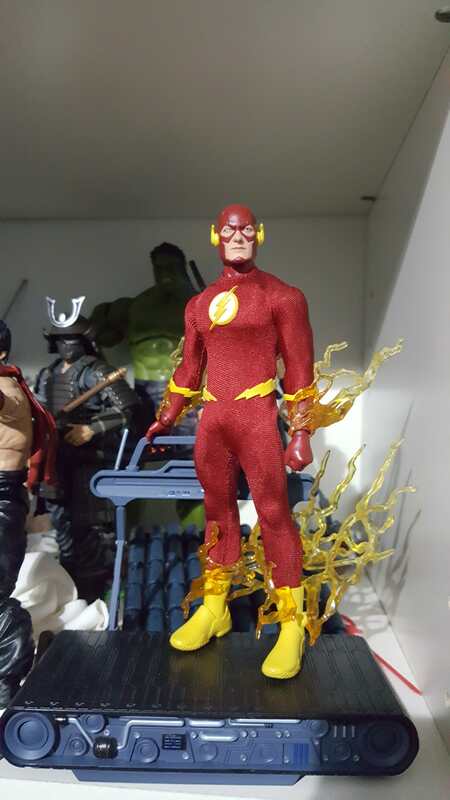 Same here, that new deluxe iteration looks excellent, jut hope the pre-order isnt tight like some of the others, do we know if this is a Mezco Exclusive? I believe its a PX exclusive. So grab him on BBTS or EE. Probably like 120 or so. This are all guesses going off their previous figure like the PX Punisher, fully loaded. Nope, when it was shown at NYCC, it had on its card "MDX", standing for "Mezco Direct Exclusive". Going with the Punisher variant comparison, it's probably gonna be more like Classic Punisher than Fully Loaded Punisher, though hopefully without the insanely low edition number. that's awesome that its going to be an exclusive through them! One reason is that they don't sell out in 2 min like Neca Turtles. Tiger Striped Wolverine was up for sale for almost 2 hours! That's plenty of time to get one, if you want one. When do you think he will be released? Maybe toyfair? Alright! So excited! I just scored a Daredevil Shadowland exclusive off ebay for 156! Yay! Had to share the happy news! 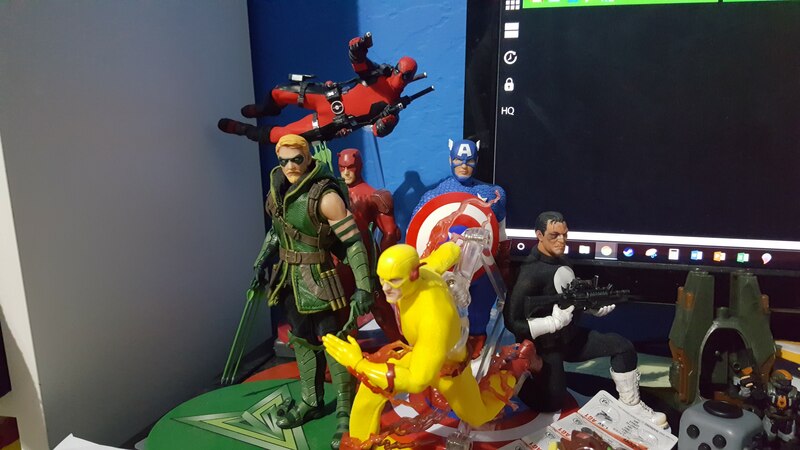 My Mezco collection so far. Only things that've been released that I still need are Shazam (just haven't been in a good position to buy him yet) and Superman (he's in my Pile of Loot on BBTS). "With such positive reception to the character from the second season of Daredevil, creating The Punisher as a One:12 Figure was a no brainer. However, the figure will be based how the character appears in his own solo series once his identity as The Punisher has been fully assumed after his origin story arc of Daredevil Season two. The figure is still in development so we don’t have any picture of the figure yet, but our One:12 Daredevil figure based on the Netflix series Daredevil has been showcased at previous events." Very nice, I still need to grab that Flash! thank you! Ill post my collection in a week or so, to give the mail time to deliver. Im waiting on 3. Zoom, Commander Rogers, and Shadowland DD! I've been focusing primarily on DC figures so far. I have TDKR Batman in Black and Blue, The Joker, Flash, Zoom, Capatain Marvel (Shazam), Arsenal, and Superman. I think Superman has already become my favorite. Your collection is awesome! looks great! I would love to get a cosmic treadmill! And that punisher! that's the version I wish I had! How do you guys feel about Spider man? The classic version. I have the movie suit on preorder, but im on the fence on this one. Also boys, remember tomorrow preorders go up for Aquaman! EE, RSDEAL 22, 65 shipped! Last edited by Jal Hordan; 11-16-2017 at 04:13 PM.. I'm down for Aquaman but I'm leaving Marvel movie characters to SH Figuarts. That cosmic treadmill is the one that came with DC Icons Flash. I got it with this Flash via eBay (the figure was complete, they just also threw in the cosmic treadmill), and while I love this Punisher, I'm still not glad I had to spend $300 on it (especially because I am very much not rich). and while I love this Punisher, I'm still not glad I had to spend $300 on it (especially because I am very much not rich). I hear you on this. The way they do their exclusives leaves a lot of people stuck paying scalper prices. Limit to 400 (fine) but then allow up to 6 purchases a person...? That makes no sense to me. I do agree with you one this. They should not allow more than 2 for purchase. On the other hand though, every website that has had some type of exclusive go up and sells out in a minute. I have had this experience with Neca, HTS, Fourhorsmen. Never with Mezco. They are usually up for atleast an hour, and that's plenty of time to get one if you really want one. Tiger striped wolverine was up for more than an hour. That's plenty of time to get an exclusive. On a side note, wait on ordering from EE for Aquaman till they up[date it with free shipping. I just spoke with one of their CS reps and said it would be updated shortly. So Aquaman for 65! Just pre-ordered Black Adam, and Deathstroke...Hope they come in soon. I think both are due November/December so not too long of a wait. Thanks, 2 I have had my eye on for some time. Now, how to acquire more money to support the Mezco habit? Is it just me, or does the DCU Aquaman do nothing for you? Last edited by Jal Hordan; 11-17-2017 at 04:06 PM.. If we get a militarized frank from the show in bdus with a bunch of guns like in the show...wow!?! The show is so good! Just finished The Punisher. I would still say DD Season 1 is better overall but Punisher is right up there. I'll definitely take a figure of Frank from this show. I would imagine that they'd do a PX version based on the first episode too. Last edited by Jal Hordan; 11-19-2017 at 03:44 PM..